I like cemeteries. Especially the ones in central Europe. They are great places to wonder around and see on a small scale architectural styles develop over the decades, even centuries. So far, I haven't uploaded any pictures of them on my website. You may find them out of place here or even disturbing. 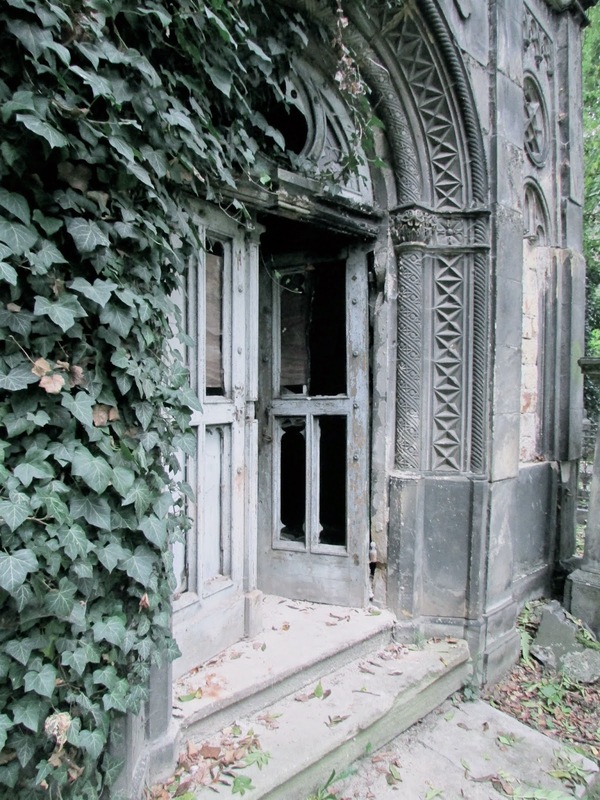 But I allow myself an exception: Olsany Cemetery in Prague: two centuries of abandoned graves, chapels and catacombs, overgrown, dusty and slowly falling apart. It is an amazingly romantic setting! 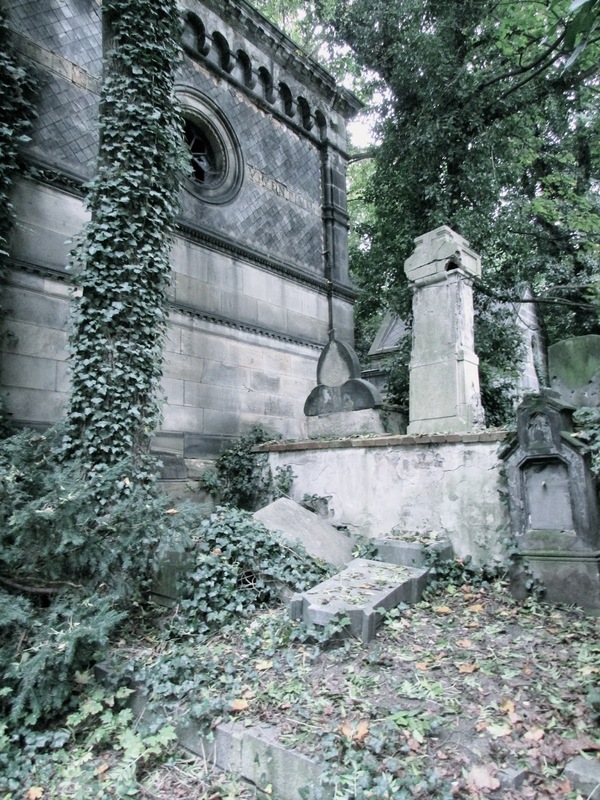 The cemetery started in 1680, but only became the resting place of most Prague citizens from 1780 after it was forbidden to bury people inside the city walls. It is still used today, though not on a large scale. 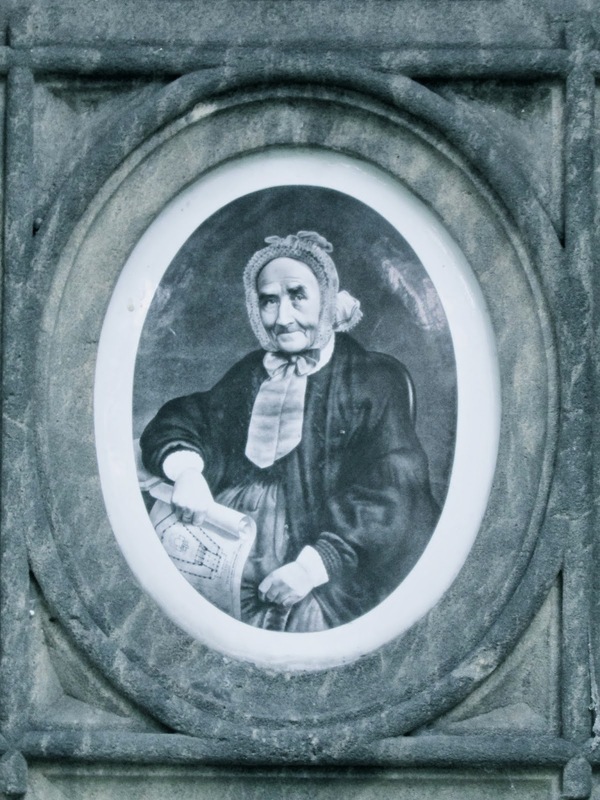 Photos of deceased on gravestones became popular in the late 19th century. There were quite a lot of them around. They keep well. The lady is holding a scale model architectural design of a building. And that's the link to the topic of this website this time.